Needing a babysitter or nanny? Look no further! Want to connect with Aislynn? Hello my name is Aislynn. I am currently finishing up my second semester at Northeastern State University in Tahlequah, Oklahoma. 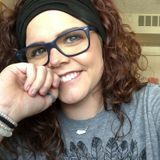 I am interviewing for a nanny/babysitting employment opportunity in Muskogee, Oklahoma and surrounding areas, I am from Eufaula, Oklahoma but willing to travel within a reasonable distance. I promise to be trustworthy, affordable candidate. I can be available as needed. I am happy to help with play date supervision, homework help, and pet care. Further, I am comfortable working with twins. I have years of experience. Call me through this website and I should reply shortly. I will not receive emails. Best way to contact me is by messaging. Thank you in advance!